Let's Falling In Love with Your Kitchen! 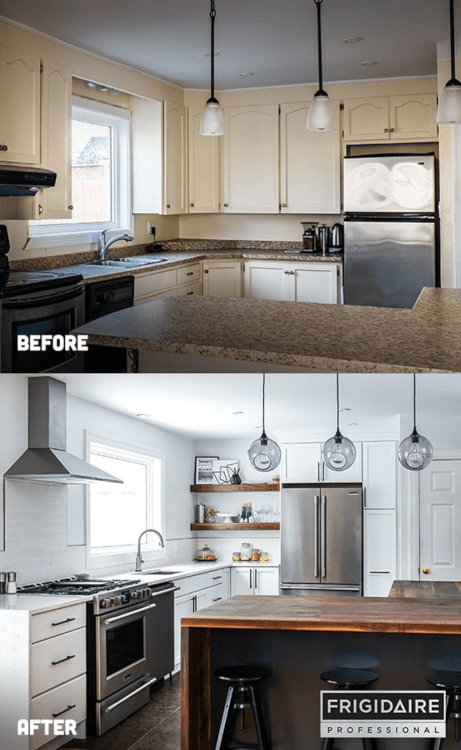 You are here: Home / TIPS / Let’s Falling In Love with Your Kitchen! Let’s Falling In Love with Your Kitchen! FeastHome – Before you moved into your new house, you felt as though you needed something different. Different kitchen, different living room, different bedroom and everything was to be different. Even the neighborhood? Truth is, you have stayed in that different place over years until you feel like you need a change. This should not be because you want to be trendy and maybe keep to the present day designs. Everyone wants this for the family anyway. Alternatively, you could be thinking of makeover. However, this will involve a budget and maybe a long-term plan. That is good. Nevertheless, did you know that you can get that thing which is not inspiring you and especially in the kitchento be more lovely. All that said you will need to go through the kitchen and find that which has given you the thought of starting a fresh. The kitchen is place to find healing, nourishment, fulfillment and more should attention needs to be given to it. Small or big, you need to feel connected to this place. Make the environment friendly and warm to all. To be achieved by how you care for what you have and making sure they are used the appropriately. Do not keep the thought again but you can follow the below steps to make your kitchen warm enough for you. 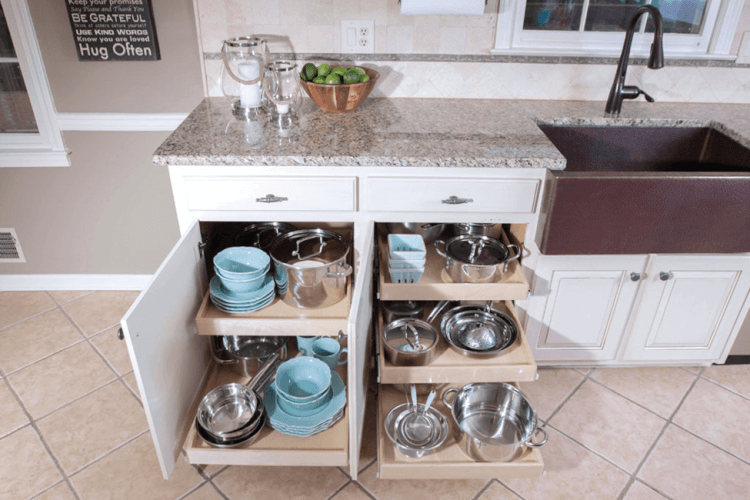 These are storage shelves either for food or for non-food items. Begin from emptying and setting the contents aside. Go through them and declutter. During this process you are able to know which equipment is always idle, if it not needed you can give away or sell to someone interested. In an instance where more space is required and the items to be kept are crucial. There is need to utilize the available space on the wall. Mount on some temporary shelves and arrange your items on it. Sometimes it looks like we have a lot to be put onto the shelves. However, we cannot just get the space. Without the items placed in the cabinet, there seems to be much space. Where do we lose it? 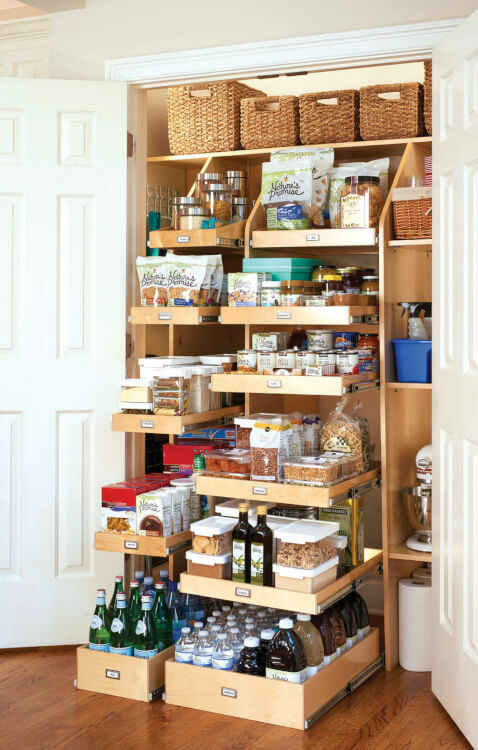 Every now and then, arrange your cabinet neatly so that you can find all that you require in the same place. Reduce the amout of search time. The proper arrangement can also be a décor in its own way. So as you arrange keep in mid the power in heights. Can arrange same bottle of same materials but different heights, the trend make it beautiful. After the arrangement can put it where it is attracting most of the visitors. Meanwhile this forms another greater motivation to you. You can access what you have currently and how you feel about it. If need be, you can consider decorate them again. And this will involve applying a different material. You can use either granite, quartz or glass. Go back to your budget and see if it is something you can afford at ago. Once ready as desired, use the surface to arrange your bowls. This is to add beauty to the room. Can as well add some decorations I the bowls. The changes should be expected to come with time. Classy does not mean everything in the kitchen being expensive. You just need to do away with of the old look. Then you can now decide to facelift or make it over. You will need to keep in mind amount of money available to start and finish the job, available space considering the size of the new equipment…. Never be too negative about your kitchen. It is where love for everything: the home, the meals, the kids etc begins. Be of courage and know that the new everything that you want begins with the change you are willing to make begins with all that is available in the kitchen. Begin the process slowly until you achieve what you want. The kitchen is a place of healing. This comes from the meals prepared. Ensure you make the kitchen space until it gets to what was before. The first love you had before must come back. 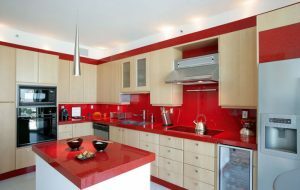 Should you choose to make over everything in the kitchen, work within your budget and choose a plan that will work for you. Choose what will work for you and suit all your needs. They material should be able to carry on for a longtime. A lot more activities can be initiated by you love the room more. Be innovative.